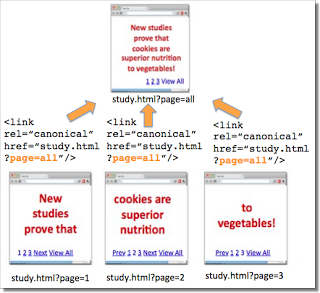 rel=canonical link element helps a webmaster to solve the duplicate content issue and present the preferred version of the url to the search engines. This preferred version of url is indexed and displayed in the search results but a slight mistake in proper configuration of this link element can deindex some of the important pages of your website unknowingly. 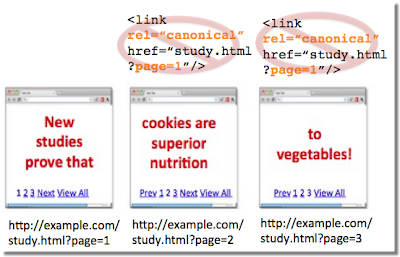 Google posted helpful tutorial regarding the mistakes you must avoid while using rel=canonical link element. Suppose you have a paginated series of information then instead of linking to the first page of the content, use rel=canonical from component pages to a single-page version of the article, or use rel=”prev” and rel=”next” pagination markup. While specifying url in the link element, you may specify either an absolute url or a relative url but the mistake happens when absolute url is specified as incorrect relative url. 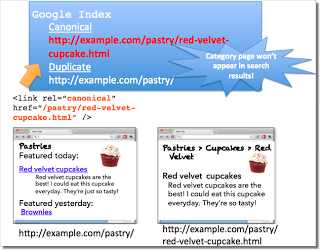 In the example above, the url "example.com/cupcake.html" should have been specified as "http://www.example.com/cupcake.html"
Another mistake that the webmasters often make is by declaring rel=canonical multiple times in the same web page. This confuses the search engines and ultimately the search engines ignores the codes altogether. Hence, it is better to review the source code to make sure there is only a single declaration of rel=canonical link element. If your site is divided into category and subcategory or featured pages then do not make the mistake of providing a rel=canonical element specifying the subcategory page from the main category page. Many webmasters make the mistake of using the link=canonical tag to link to the featured category pages from the main category page and unknowingly deindex the main category page from the search engine results. Incorrect configuration of the rel=canonical element in the body of the web page instead of the head section may lead to the disregard of this element by the search engines. How to Make Seo Work?